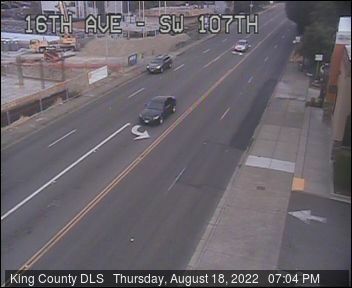 We've been covering it at partner site West Seattle Blog but it's big news for White Center and environs too: It was announced this afternoon that the South Park Bridge ... Read more..
King County produced a video explainer of the South Park Bridge's impending closure. In case you're still not entirely clear about the impending 7 pm June 30th shutdown - just ... Read more..
Its highlights - including the newest changes planned for Metro Route 60, which serves White Center - were discussed as part of a wide-ranging public meeting last night. Here's the ... Read more..
Tonight is the second of two meetings for the public to hear about the closure plan for the South Park Bridge - now just a month away (7 pm, June ... Read more..
From partner site West Seattle Blog: King County says the final consultant review of the South Park Bridge's condition is in, and it reaffirms the county decision to close the ... Read more..
Seattle Channel Video can be played in Flash Player 9 and up Seattle Channel's "Inside/Out" show focuses this time on the South Park Bridge, its impending closure, and the community members ... Read more.. If you haven't already seen it on partner site West Seattle Blog, here's the link to our full-length article - with one video clip from a particularly impassioned community member ... Read more.. This is the next major public meeting about the impending South Park Bridge closure: 6-8 pm Tuesday night at the Machinist Union Hall in South Park. But this isn't about ... Read more.. UPDATED SUNDAY: Our video is from just after protesters stretched into a "human chain" all the way across the South Park Bridge. But thanks to Dale Rowe for sending the ... Read more..
King County has set the dates for two community meetings on the South Park Bridge closure plan: April 27 and May 25, both meetings 6-8 pm at the Machinists Hall ... Read more..
That's our video from this afternoon's South Park Bridge rally. A few dozen people stood alongside the south side of the bridge, waving signs, rattling noisemakers, even shaking pom-poms. Before ... Read more..
We've gotten a bit behind in sharing links here from partner site West Seattle Blog. Here's the latest coverage on the South Park Bridge situation, as the June 30th scheduled ... Read more..
We first reported these last night on partner site West Seattle Blog - but in case you didn't see them there, we're linking here too. Multiple agencies sent reps to ... Read more.. Thanks to the caller on our breaking-news line (206-293-6302, round the clock) - we just got word a crash has closed the South Park Bridge. The KIRO TV traffic chopper ... Read more..
Two notes about the South Park Bridge situation - First, we covered another emotional community meeting last night; here's the link to the article on partner site West Seattle Blog. ... Read more.. So asked one attendee in an overflow crowd at the South Park Neighborhood Center last night, as county reps - and others - talked about what is now looming as ... Read more.. Speaking to the North Highline Unincorporated Area Council last Thursday, our area's County Councilmember Jan Drago warned that the county is absolutely serious about shutting down the South Park Bridge ... Read more..